Discussions Magazine Music Blog: RAH RAH/The Poet's Dead: Available October 22nd, 2012! 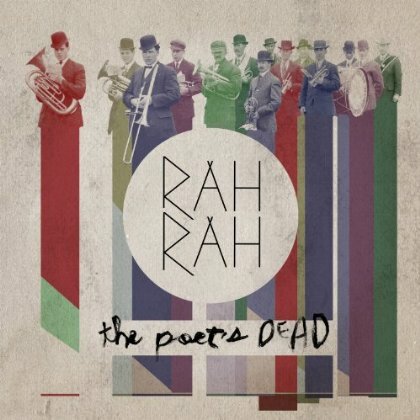 RAH RAH/The Poet's Dead: Available October 22nd, 2012! 2012 release, the third album from the Canadian Indie band. . Building on the strong foundation of their last release, the critically acclaimed Breaking Hearts, this 10 song effort effectively captures a band at the peak of their abilities doing what they do best. The Poet's Dead, recorded in late 2011 under the production guidance of indie rock recording geniuses Gus Van Go and Werner F (The Stills, Hollerado, Priestess), clearly displays that Rah Rah has truly fine-tuned the essence of the band and refined the maturity of their sound. Lyrically, The Poet's Dead showcases some of their finest, most direct songwriting yet and is their strongest collective step forward. The songs discuss maturity, growing up and life in a rock and roll band from a group that have spent much of the past few years doing exactly that.